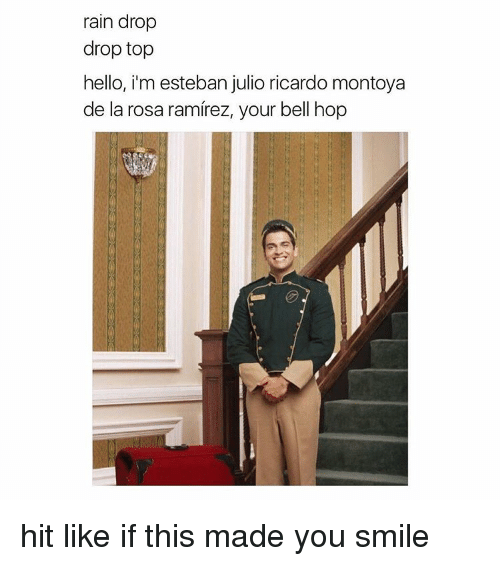 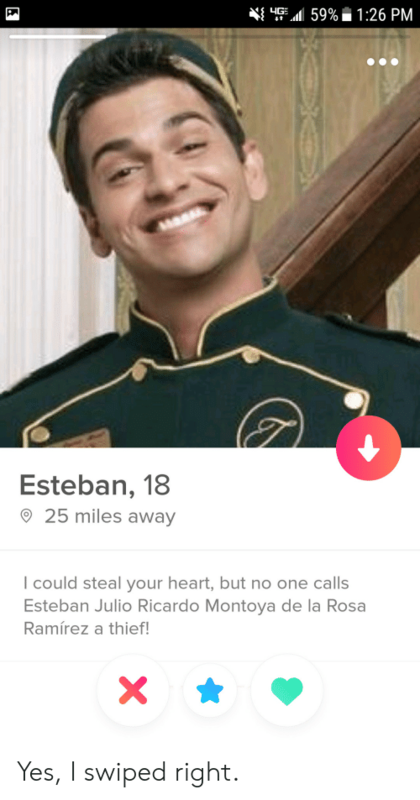 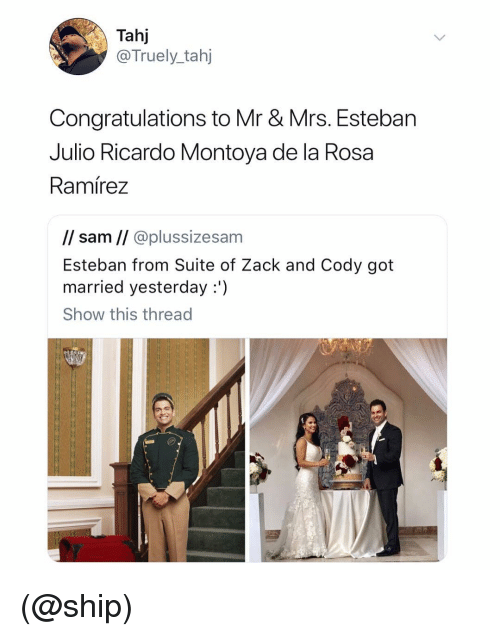 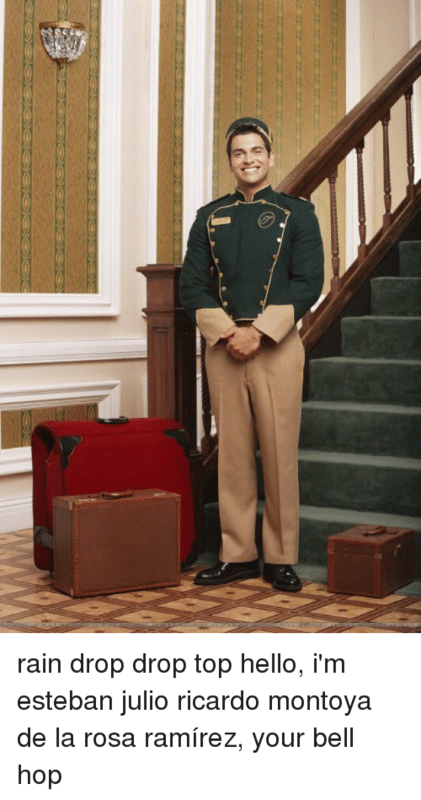 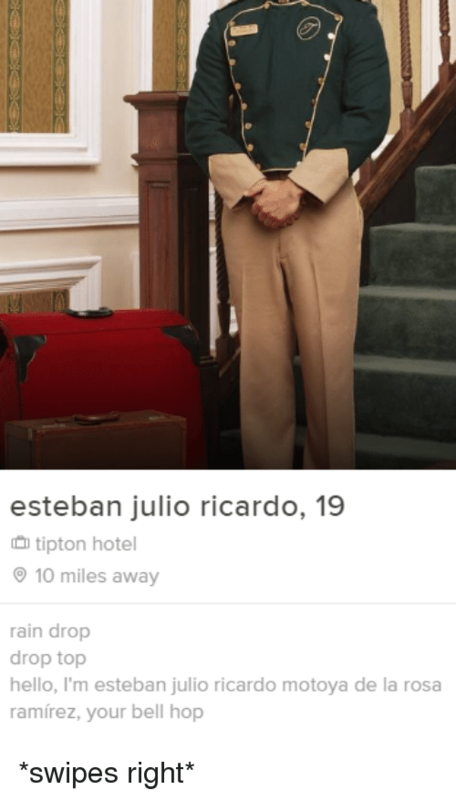 Heart, Thief, and Yes: Esteban, 18 25 miles away I could steal your heart, but no one calls Esteban Julio Ricardo Montoya de la Rosa Ramírez a thief! 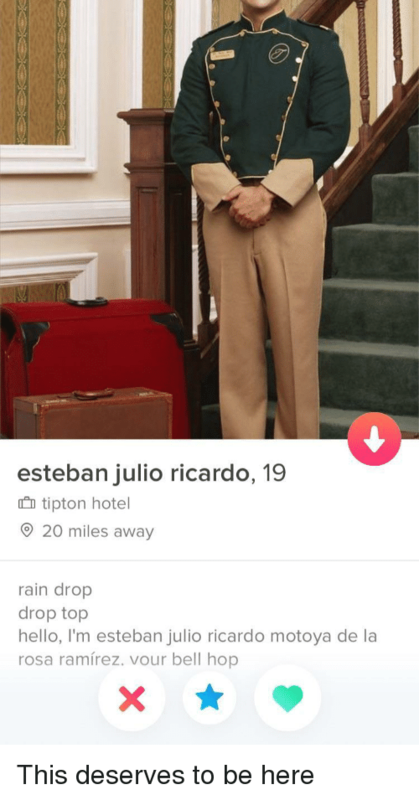 Yes, I swiped right. 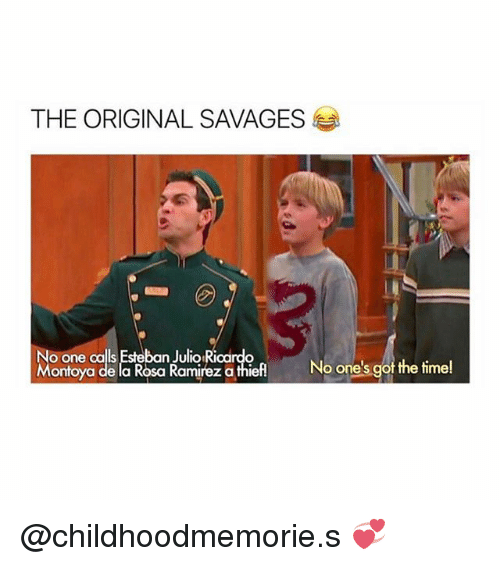 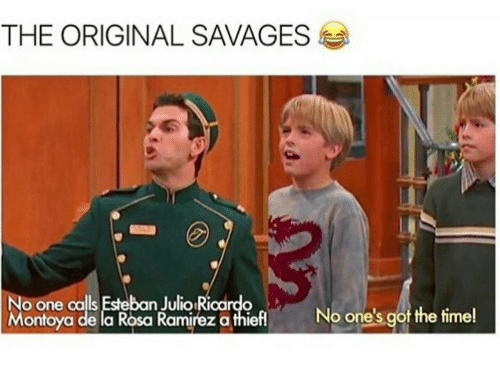 Time, Got, and Savages: THE ORIGINAL SAVAGES No one calls Esteban Julio Ricardo Montoya de la Rosa Ramirez a thiefi No one's got the time! 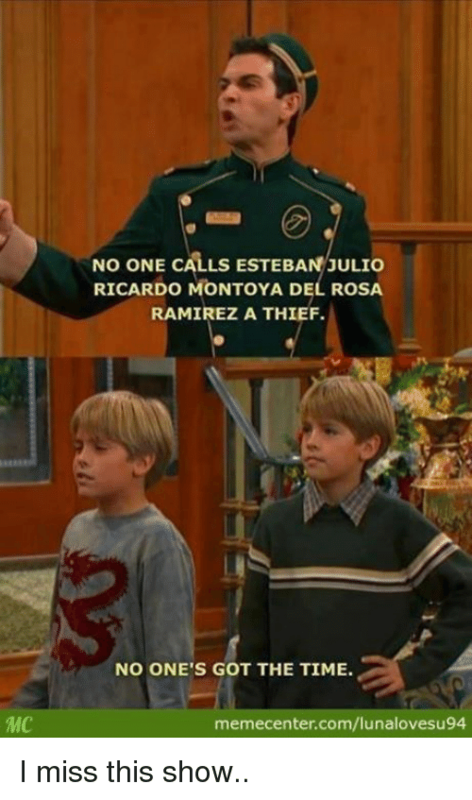 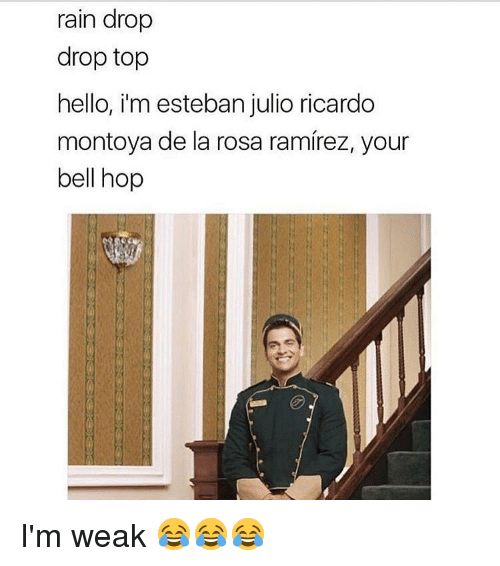 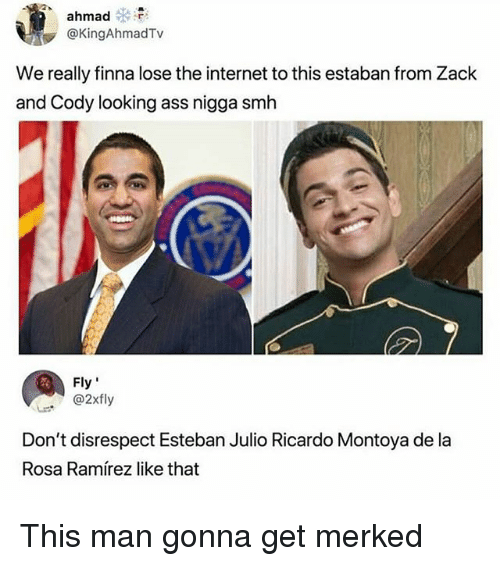 Memes, 🤖, and Thief: NO ONE CALLS ESTEBAN JULIO RICARDO MONTOYA DEL ROSA RAMIREZ A THIEF. 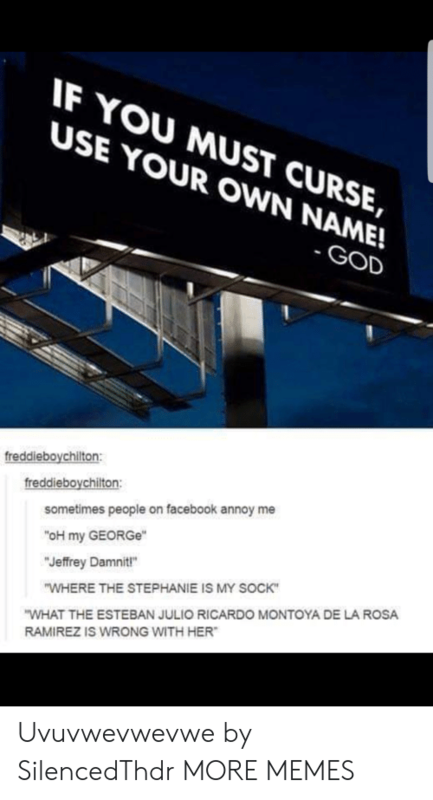 NO ONE'S GOT THE TIME. 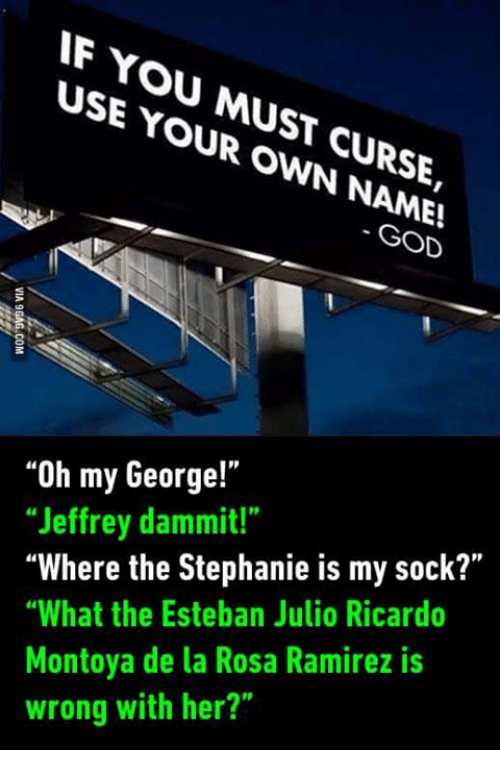 memecenter.com/lunalovesu94 I miss this show..
God, Her, and Man: F YOU MUST CURSE, USE YOUR OWN NAME! 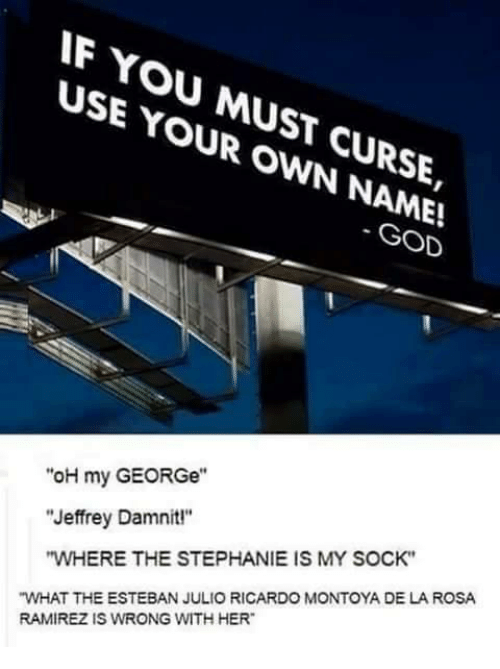 GOD "OH my GEORGe" "Jeffrey Damnit!" 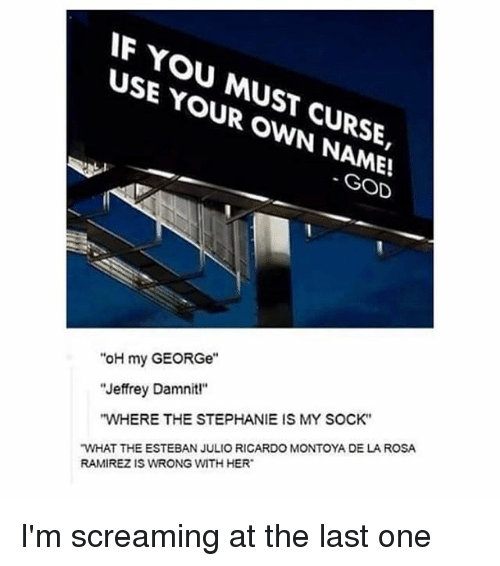 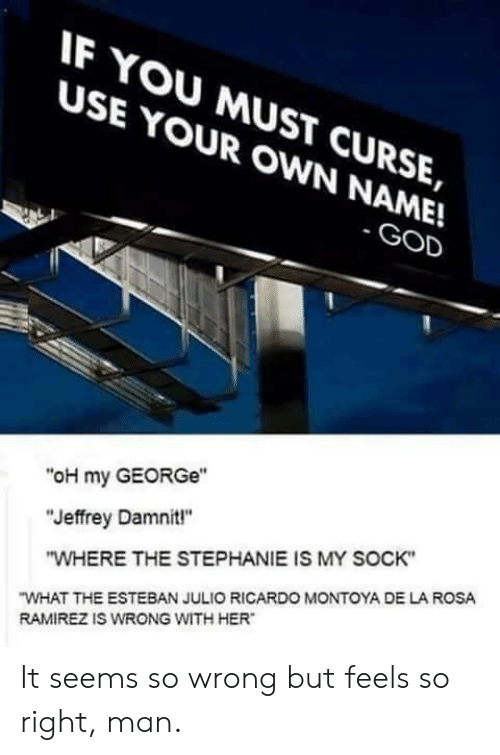 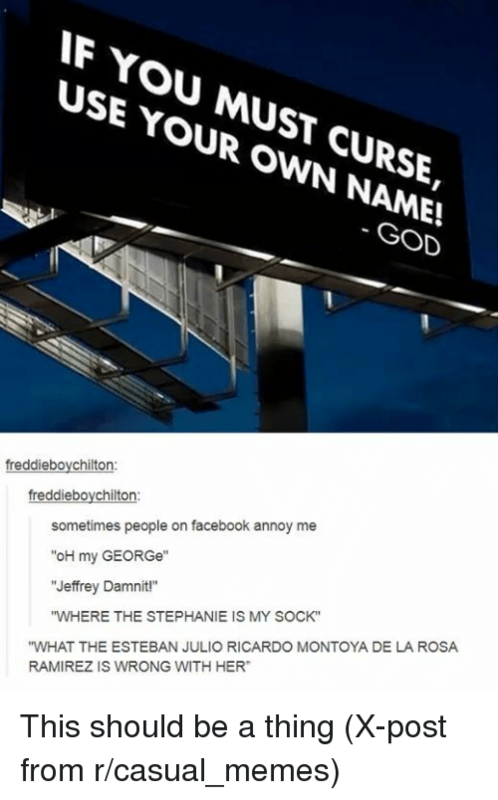 "WHERE THE STEPHANIE IS MY SOCK" WHAT THE ESTEBAN JULIO RICARDO MONTOYA DE LA ROSA RAMIREZ IS WRONG WITH HER It seems so wrong but feels so right, man. 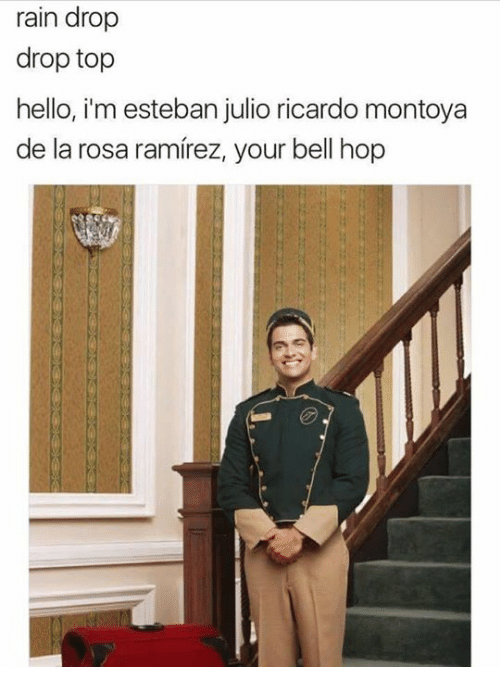 It seems so wrong but feels so right, man. 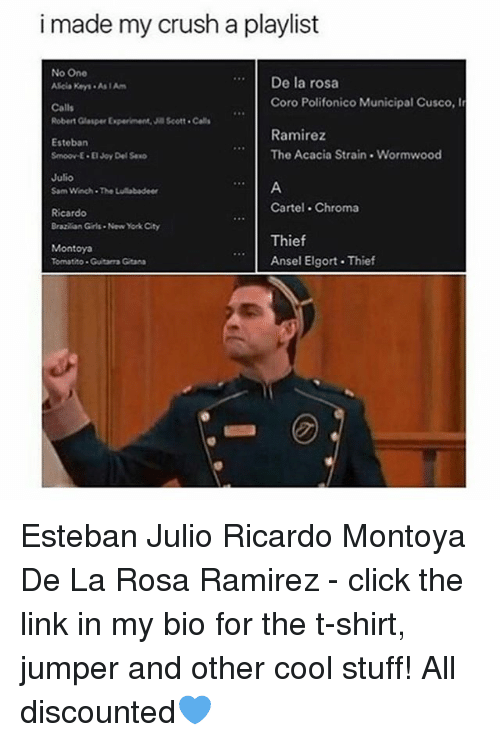 Memes, 🤖, and Thief: No ONE CALLS ESTEBAN JULIO RICARDO MONTOYA DEL ROSA RAMIREZ A THIEF. 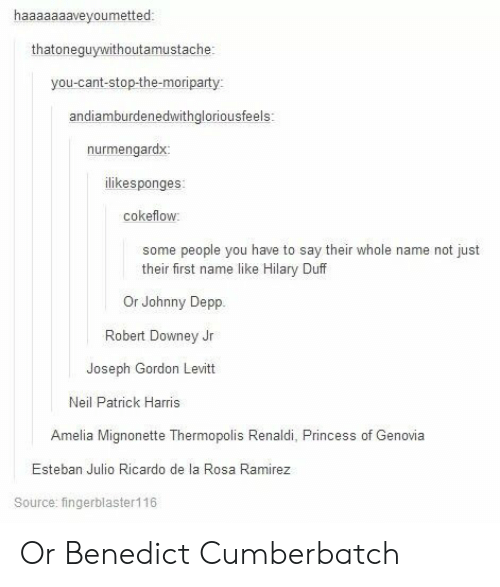 NO ONE'S GOT THE TIME. 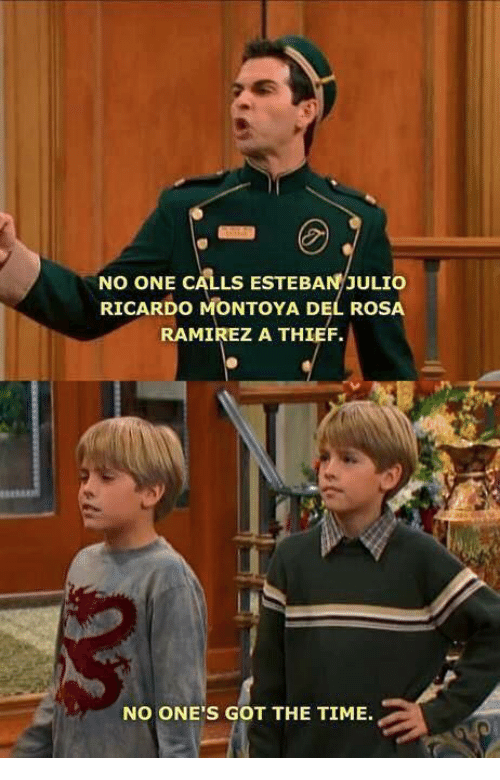 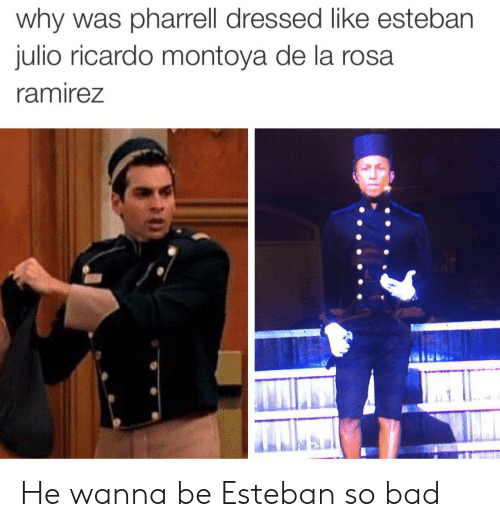 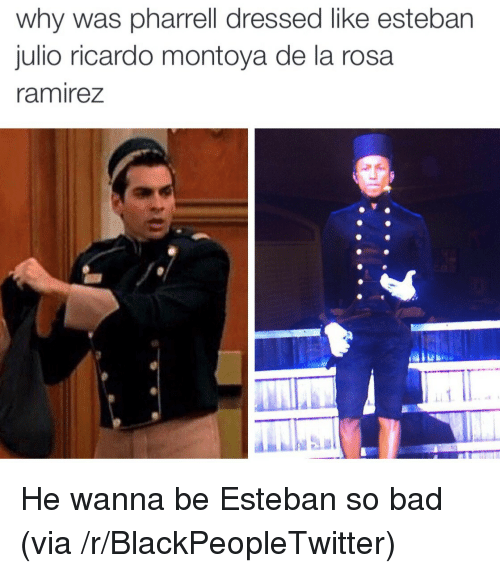 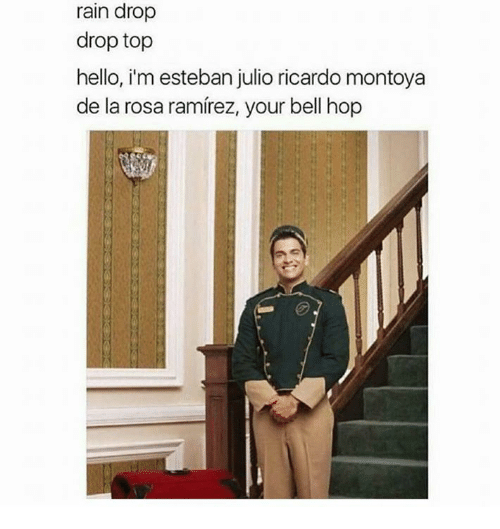 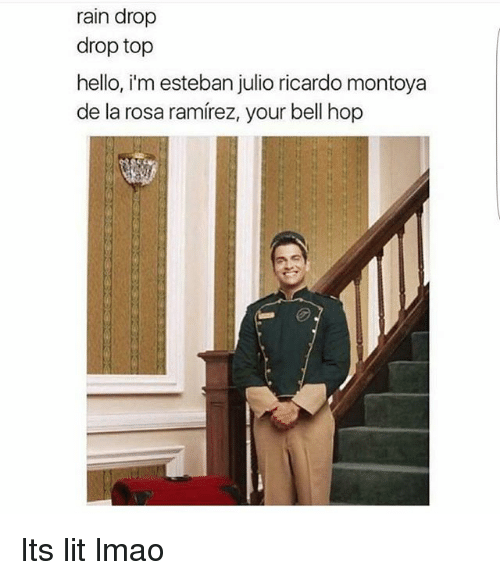 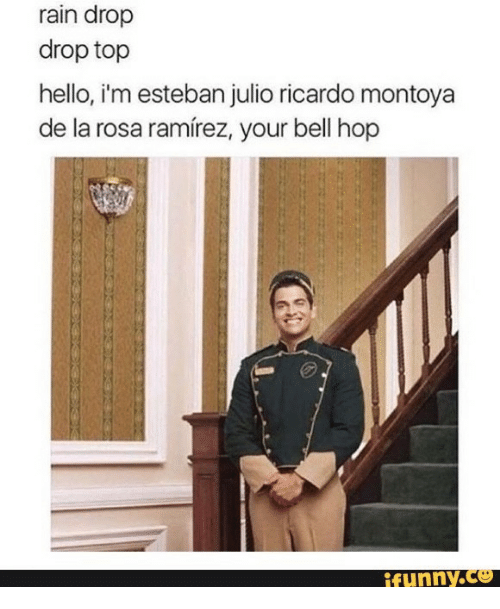 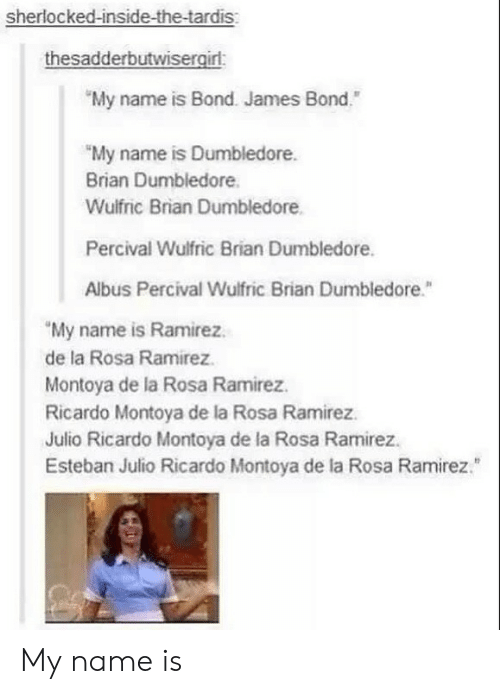 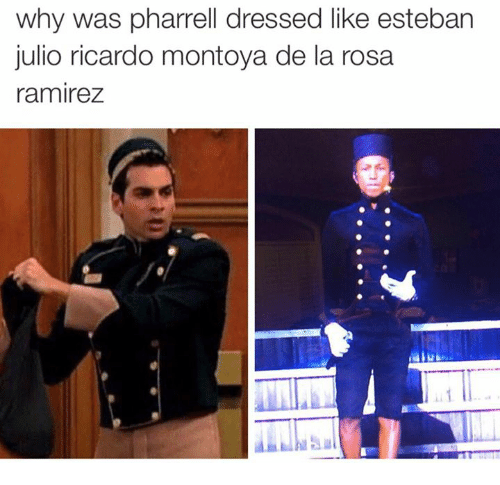 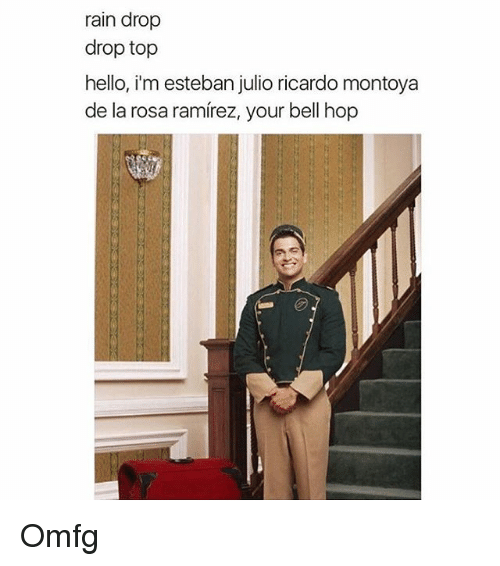 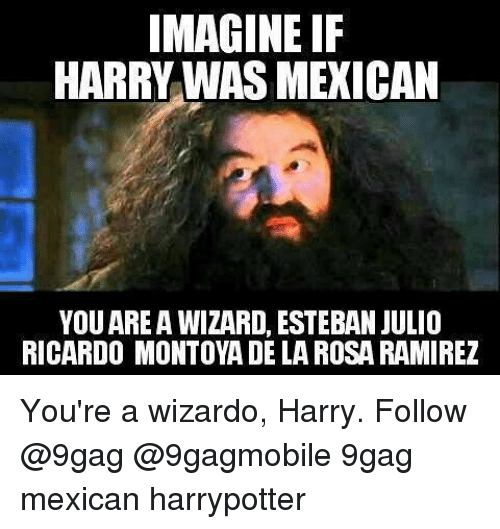 Memes, Time, and 🤖: NO ONE CALLS ESTEBAN JULIO RICARDO MONTOYA DEL ROSA RAMIREZ A THIEF. 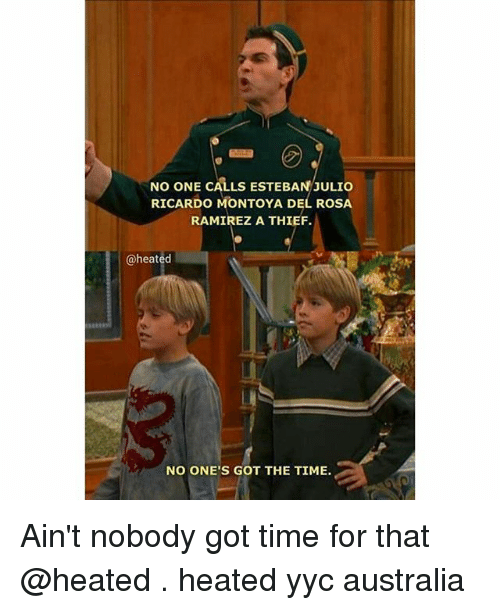 NO ONE'S GOT THE TIME. 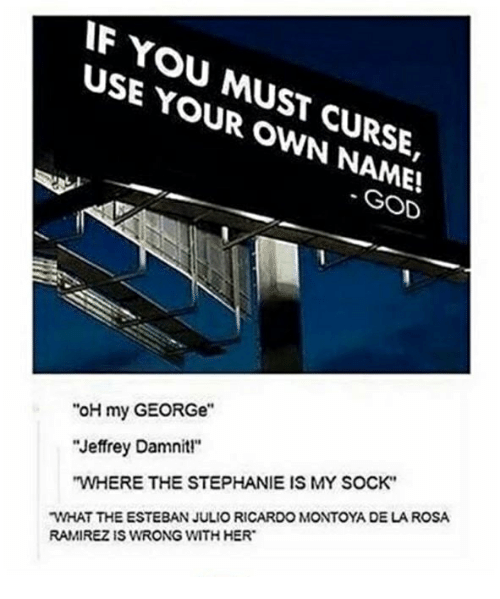 God, Mexican Word of the Day, and Wrongs: IF YOU USE MUST YOUR OWN CURSE, GOD "Oh my George!" 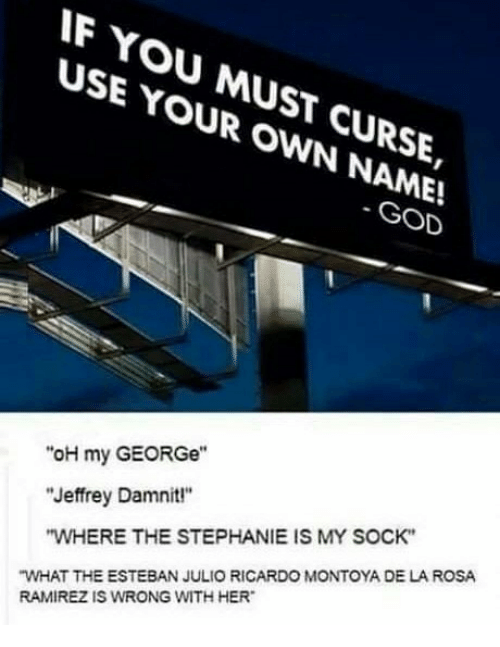 "Jeffrey dammit!" 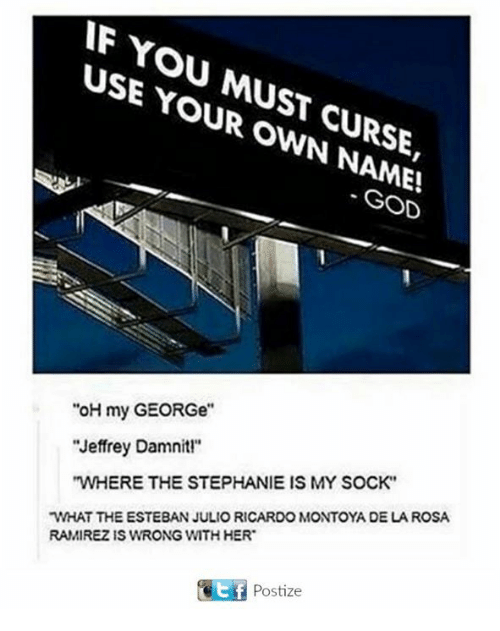 "Where the Stephanie is my sock?" 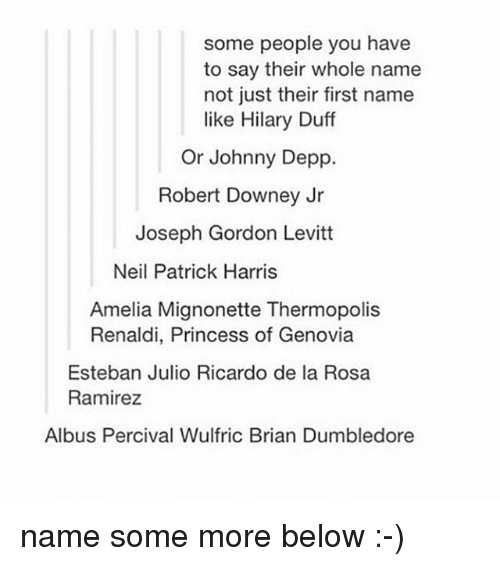 "What the Esteban Julio Ricardo Montoya de la Rosa Ramirez is wrong with her?" 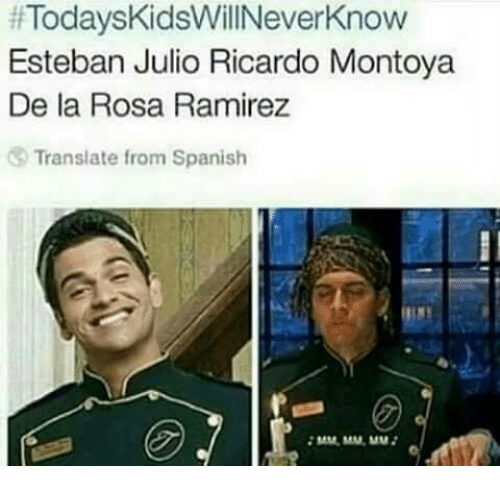 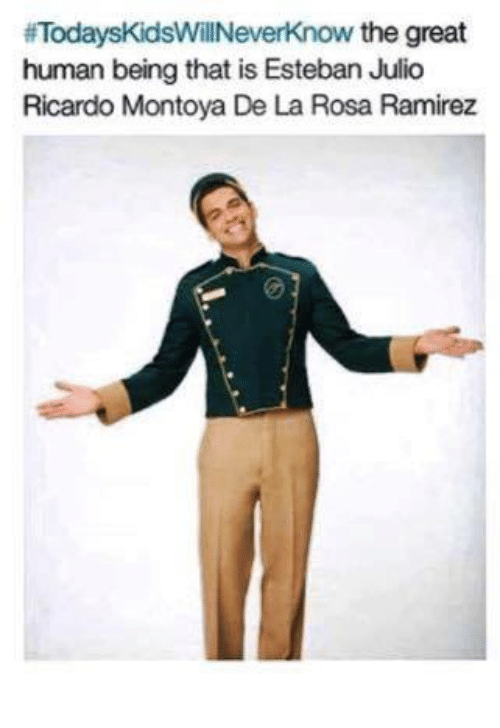 Funny, Spanish, and Break: TodaysKidsWillNeverknow Esteban Julio Ricardo Montoya De la Rosa Ramirez Translate from Spanish MM, MM, MM Help Fred The Fish - "MY LEG" break 200,000 fans! 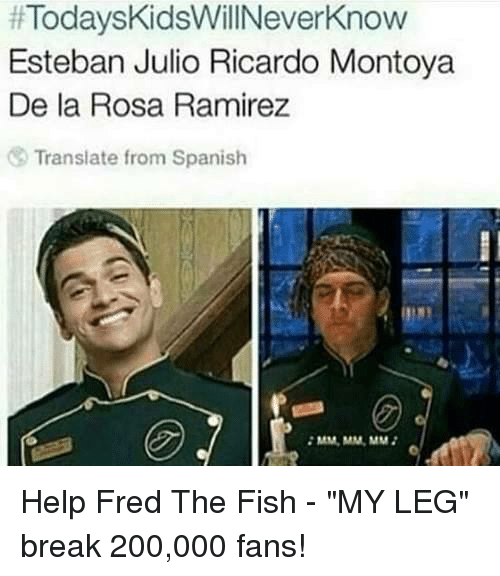 Help Fred The Fish - "MY LEG" break 200,000 fans!